Anyhow, Tuesday night, I had to work (I tutor high school math a few times a week) and Shaun was going to take the kids to taekwondo then stay for the adult class too. 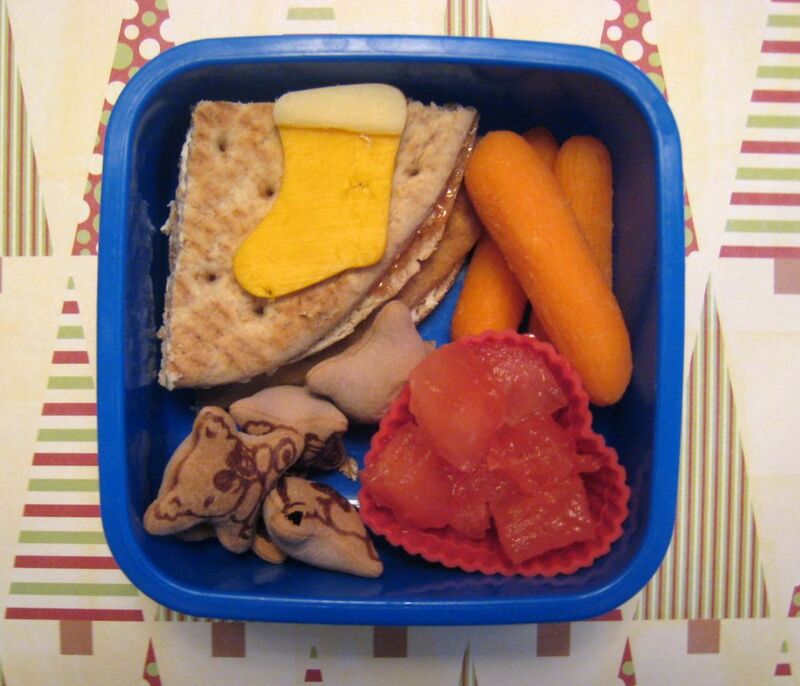 Faith decided that she & Ben would likely be hungry after their class, so she made them bentos, and even set them up and took pictures for me (with the stipulation that I would post them for her). So, here are a new set of Faith-made bentos! They both have cream cheese and strawberry jam sandwiches on Nature's Own Multigrain sandwich rounds, watermelon from our garden, baby carrots and a few koala cookies. She topped the sandwiches with Christmas decorations--a cheddar stocking with a Swiss cheese ruffle for Ben and a cheddar gingerbread girl for herself. I'm impressed! That's awesome, way to go Faith! 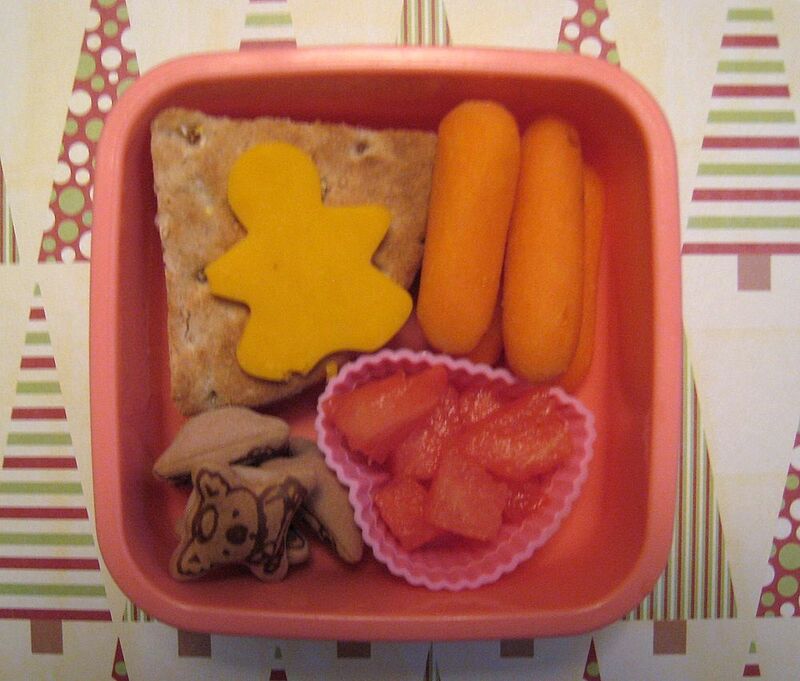 I love that at her young age she's already learned how to create a quick and easy and HEALTHY meal. Good job, Momma! 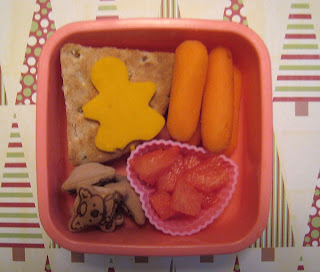 I actually made her her first Bento Lunch today!